While backup has always been a major factor in content storage, the concept has radically changed over time—in part because of the amount of businesses who have moved their files to the cloud. Nowadays, content is just as much about compliance and security as it is about preventing file loss. For organizations working with large amounts of content, making sure that that all files are protected, accessible, and up to date is essential to the security of that business. At one time or another most enterprises will have to invest in backup solutions, and finding the option that best suits your organization is crucial, especially because so much is resting on it. While individual users might backup their personal files, this isn’t enough. The most powerful backup solutions are implemented by IT on an enterprise-wide scale, and don’t require users to download clients. The success of these tools in the organizations that employ them ultimately speak to the importance of a centralized and comprehensive backup strategy. Especially for businesses working in the cloud, thinking critically about backup and your organization’s strategy for going about it should be top priority. Even if you’re certain that you have things under control, taking a hard look at your current approach can make the difference between a thriving business, and one that’s vulnerable to disaster. No matter how much you think you know, it’s always valuable to re-evaluate your backup plan, and stay as informed as possible and the process and the options. In service of keeping organizations abreast of how and why they should back up their content, we wanted to address the Five Biggest Backup Misconceptions! Many businesses that work in part or in whole using on-premises storage will be relatively confident that their basic server backup solution is just as good if not better than cloud backup, suggesting that the cost of creating an additional backup in the cloud is simply not worth the benefits. While most servers are heavily encrypted and decently secure, they rarely match up to the strength of cloud backup solutions. When you take the time to think about it, this makes a fair bit of sense. After all, cloud backup solutions have to handle thousands–even tens of thousands–of enterprises and all the content that entails. Crafting a backup solution that ensures the safety of that content at all times is their bread and butter, and they consistently invest in technologies that your personal on-premises servers simply don’t offer. Furthermore, having your data backed up in the cloud means that the security of your data isn’t tied to the security of your servers or their continual, unproblematic operation. As we’ve discussed when addressing storage solutions in general, servers are costly to maintain, and–while decently secure–still prone to outages and operational issues. Opting to simply backup your content on your local storage is the equivalent of putting all your eggs in one basket, and people tend to consider doing so a bad thing. My Users are Syncing Their Files to the Cloud and Personal Drives. This is a Sufficient Backup Solution! One of the biggest benefits of cloud collaboration platforms are the option of sync clients, which allow users to directly sync a copy of their files to their computer. If they accidentally delete the file, they can always resync it to the device. Investing in an enterprise-level backup solution ensures that your organization can draft a set schedule that backs up every single file on a regular basis, and does so in a way that you’ve thoroughly investigated to validate its security. While users can still sync their own files from time to time, a company-wide approach ensures that the safety of your content isn’t dependent on that. As much as it is an issue of convenience and consistency, backup is a matter of content security. The sync-approach simply can’t provide the protocols you need. This is a surprisingly common issue, whether a business is using online or physical backup solutions. Many organizations will simply run their backup and call it a day, or fail to consider how they want to organize their content within that backup solution from the get-go. 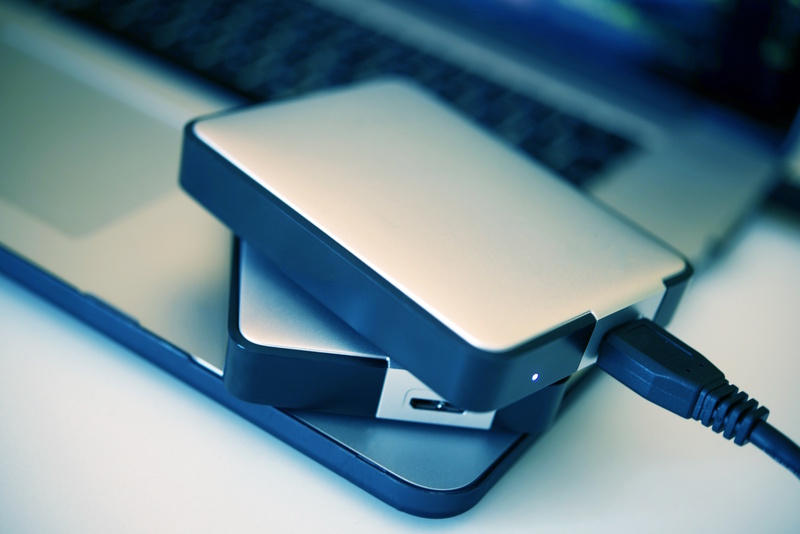 Backup isn’t just a drawer where you’re storing extra copies of your content. It’s a storage solution in and of itself, and for it to actually be useful in the event of emergency, it must be just as rigorously organized as your cloud collaboration environment. Making sure you understand what you’re backing up, where you’re backing it up to, and how you’ll find it should you need to are all essential questions, and another reason why user-dependent backup can result in disaster. Backed up files are useless if they can’t be retrieved, and–since you’re likely to backup every single piece of content in your organization–it’s unwise to think that, when the time comes, you’ll just remember exactly which file you need to re-access. Taking backup strategy seriously goes beyond just investing in a solution. It means thinking hard about how to either replicate or amend the organizational approach you’ve used for your regular storage, ensuring that users can access the files that they need should anything go wrong, and that especially sensitive files are backed up in such a way that they can’t be re-downloaded by just anyone in the organization. These are the same considerations that you’ve hopefully taken when assigning permissions or building folder trees in storage. Make sure you take the same care for backup. I’ve Got it Under Control. I Have an Archive Folder. Organizations that are dealing with large quantities of content—much of which is no longer relevant, but essential to retain—frequently rely on archive folders to help store old files that no longer have a place in the main content environment. Problematically, many organizations will cite their archive folders as an appropriate alternative to a backup. But an archive folder is not a backup. It’s just that simple. While archive folders will be protected by the security protocols of whatever solution they’re stored in, they don’t serve the same purpose as a backup, and they shouldn’t be used as a substitute for one. This is not to say that archive folders aren’t helpful! They’re a great organizational tool, and they allow admins to set aside files that are no longer is use in order to reduce storage clutter. Still, if your archive folder is lost, it’s not as though you’ll be able to magically re-access those files because…well, they weren’t backed up. Furthermore, it’s unlikely that you’re going to keep an extra copy of every single item of content in your archive folder. That would defeat the point! It’s tempting to take shortcuts when it comes to backup, whether because they seem like a good cost-saving mechanism or they just appear much easier. However, all of these shortcuts–in one way or another–negate the point and benefits of backup, and leave your content vulnerable. Investigating robust and true backup solutions is really the only surefire way to ensure backup success. Pointing to archive folders and external drives as a perfect alternative will only end badly. When choosing where and how to migrate your data, backup is an essential thing to consider. Different cloud collaboration platforms handle backup and versioning differently, and some don’t even really include a substantial backup solution. How different businesses handle cloud backup varies wildly, mainly because the ways in which different businesses store, organize, and approach their content varies wildly. Looking at how Dropbox, or Box, or Google Drive, or Office 365 approaches issues like versioning, retention, backup, and file restoration should be a major part of the migration process because each provider has their own approach! Backup protocol will play heavily into the security of your files, and your organization’s ability to maintain compliance, so it’s not something that can be taken lightly. Exploring the nuances of the issue is worth the time it takes, and will ultimately govern whether your new cloud environment is a place where your business can thrive, or woefully insufficient for your needs. Backup is a complicated subject, and there are a fair number of strategies an enterprise can adopt when undertaking it. That being said, it’s easy to fall prey to misinformation, or simply the sense that you know what you’re doing when, ultimately, you could use some more expertise. Backup provides one more safeguard around your users’ ability to effectively collaborate, and your organization’s ability to remain protected from catastrophe. Taking the time to really analyze your business and consider what backup approach will most benefit you is one of the best ways to ensure continued success. To do otherwise can carry serious, unpleasant consequences.